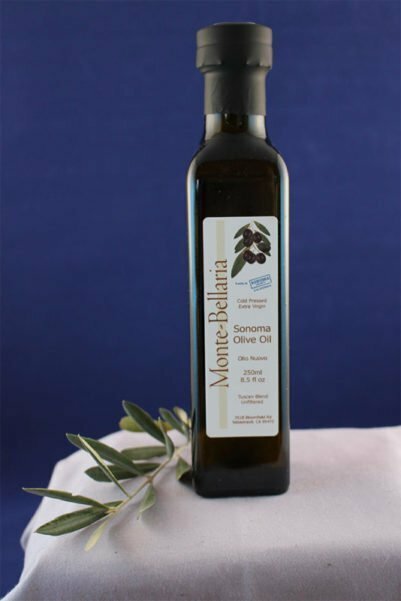 The Monte-Bellaria Sonoma Blend Olive Oil is our own all-natural, cold pressed and unfiltered oil. 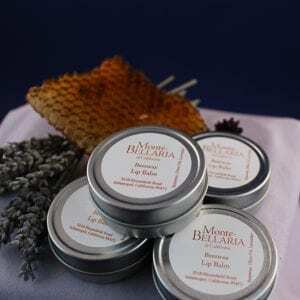 Made from a blend of six Tuscan varietals, each season produces a slightly different oil. This is a premium green oil, picked young for a rich and spicy taste. The crop is picked and pressed within 24 hours about ½ mile from the estate.